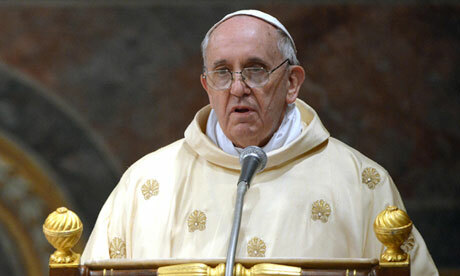 Coming from a background as a former Catholic, it is of great interest to me that we have the first Jesuit Pope. I have been listening to much talk radio in the last few days from both Christian and Catholic networks. I normally do not tune into Catholic news radio; however, last week was of interest to me to hear what Catholics were saying about the new Pope Francis. What has surprisingly stood out among the priests and other Catholic figures interviewed has been a lot of talk about how the new Pope is of the Jesuit Order. The Jesuit Order (also known as the Society of Jesus) was established around 1537-1540 by Ignatius Loyola of Spain under Pope Paul III for the expressed purpose of undoing the Protest Reformation (by the Protestant Reformers: Martin Luther, John Hus, John Calvin, etc.). After Loyola gained papal approval, he, along with 6 most trusted associates, continued to recruit Jesuits throughout Europe (and eventually the world), building schools, colleges, and seminaries. It has been said by a few experts on the Jesuits that the Society of Jesus is more of a military order within the Catholic Church that answers to no one but the Order itself. Some would sum up the Jesuit Order’s agenda like this: "to stamp out biblical Christianity (through the Counter-Reformation) and subdue the world to the Pope and the Roman Catholic Church." The Jesuits have become so powerful that many within Catholicism have come to greatly fear and respect the Order (some would testify on record that the Order has even assassinated popes for the Jesuit agenda). The rather chilling Jesuit Oath can be read here. In recent months and weeks, we have heard of quite a few Jesuit figures in key government positions around the world (such has our new CIA director here in America, John Brennan, being Jesuit trained). It has also been recently said that President Barrack Obama was a close associate of a Jesuit that assisted in his election, and that the President of the European Union is Jesuit trained (to name a few). The most exhaustive 4 hour documentary on the Jesuit Order by Chris Pinto and Brannon Howse can be obtained here. They argue with solid documentation that the Jesuits have infiltrated the system by design, and focus primarily on politics, social justice, education, the press, ecumenicalism, dominion theology, the pulpits, mysticism, etc. A recent article from The Huffington Post stated that Pope Francis "Considers social outreach, rather than doctrinal battles, to be the essential business of the church" (which is a veiled way to say in other words that truth revealed in Holy Scripture is to be laid aside for the sake of ecumenicalism). When listening to Catholic radio last week, I heard some rather shocking discussion and found it amazing how much one can learn by listening to the priests and Catholic commentators themselves. On Thursday, March 14th, I was listening to Relevant Radio (a Catholic station out of Milwaukee, WI) and heard some rather stunning comments made by a Jesuit priest (guest on the program, A Closer Look, hosted by Sheila Liaugminas). The Jesuit being interviewed by Liaugminas was Father Joseph Fessio, founder and editor of Ignatius Press and former student and friend of 40 years to Father Joseph Ratzinger (former Pope Benedict XVI). Father Fessio of course praised the new Pope and his achievements, and then went on to say that the media and world have been deceived into believing that the Pope chose his papal name on the sole account of St Francis of Assisi. He stated that Francis of Assisi was not much more than a “smokescreen” and the name Francis was actually chosen in admiration to Jesuit General Francis Borgia (and General Francis Xavier -1 of 6 auxiliaries chosen personally by Ignatius Loyola). Fessio continued by saying several times that the Jesuits are “sly and crafty” and that the Popes during Borgia’s time were “horrible.” To listen to this radio program on Relevant Radio and hear these comments made by Jesuit Priest Fessio, you can go to their archives and download the program for March 14, 2013 – ‘Getting to Know Pope Francis’ here . (Pick up the time at 36:00 minutes into the program to go directly to the Fessio conversation). I find it interesting and a bit disturbing to know that a Jesuit would come out and openly admit that the Pope is clever in deliberately misleading the masses to believe that St. Francis of Assisi is his sole papal name. This is a classic tactic of any secret order or society in that their titles and symbolism usually have multiple levels of interpretation. We see this repeatedly in Free Masonry and Rosicrusianism. The Pope quoted on Twitter last week St. Francis of Assisi’s alleged message from Jesus saying, “Francis rebuild my Church” but has said nothing in regards to Francis Borgia, Francis Xavier, etc. I believe he is indeed using Assisi as a “smokescreen” to take the average individual off the real agenda of his commitment and oath to the Jesuit Order. A few days ago I heard another priest on the same Catholic radio network say jokingly with a laugh, “Finally we have a Jesuit loyal to the Pope.” I believe this speaks volumes. In conclusion, I believe that the Jesuits are a dangerous Order and the fact that we have a new Jesuit Pope of the Roman Catholic Church should be of concern to Bible-believing Christians and the world. As Christians, we should not withdraw in fear, but be open in exposing the Jesuit Order and using the opportunities and resources available as a springboard in presenting the biblical Gospel of faith and repentance alone (and showing these events in light of Bible prophecy). (Ephesians 2:8-9). The Roman Catholic gospel is a damning, works-based gospel that cannot save. Jesus said it well in John 17:17, “Sanctify them by Your truth. Your word is truth.” He told the Pharisees of His time, “…Well did Isaiah prophesy of you hypocrites, as it is written: This people honors Me with their lips, but their heart is far from Me. And in vain they worship Me, teaching as doctrines the commandments of men…making the word of God of no effect through your tradition which you have handed down. And many such things you do” (Mark 7: 6-7, 13). It is clear throughout NT Scripture that only through Christ and obedience to His Word alone can one be saved. Note: I do not recommend Wikipedia as always a reliable source of information (in links above), but for general information purposes. One must do their own research from various sources and come to their own conclusions. I've heard many commentators claim that Pope Francis chose the name after Francis of Assisi--but I haven't heard the Pope himself make this or any other claim with regards to the selection of the name. The fact that someone named Fr. Fessio, described by you as merely a friend of Pope Benedict, speculates something to the contrary, is about as flimsy as it gets in the way of credible commentary. But since you described yourself so clearly as an anti-Jesuit, you can't expect anyone to consider your commentary as credible. There's a good YouTube series on "Know Thy Enemy" - I believe on FaceLikeTheSun's channel. It covers the manifestations of evil from inception to present day, so thus is about 11 hrs. total. The part about Loyola and the Jesuits was explicit in exposing/damning them. Loyola apparently like Mohammed, had a "spiritual" revelation in a dark cave (of a demonic nature). It's correct their express purpose is to counter the Reformation, and subdue by any means necessary, any non-Catholic belief in order to bring all back under the boot of Rome.I was reading a couple of weeks back, a blog, which covers may topics, but the one I was reading was about how the Catholic church, ie pope, recruited Mohammed, an illiterate pagan, thru his first wife, older than he, who was a devout Catholic, and "trained him" with a new, to him, philosophy which became the foundations of Islam. The purpose was to have an apparent "outsider" for deniability to execute violence vs those not of the RC persuasion ie to be their military arm. It's therefore not surprising that given Loyola and Mohammed went into subterranean caves to seek illumination, that they were both military arms of Rome. Problem became tho, that once Mo started having much success in subduing, killing, plundering, pillaging, etc , he went independent of the original agreement and the RC church lost control of him and his followers. The Jesuit General is called the Black Pope, and is purported to be the real power of the RC church. Since it is accepted by both Brannon Howse and Jimmy DeY that the pope is not the antichrist nor is he the false prophet - what significant role will the catholic church and the pope play in end times.???. About the same time (early 1800's) a Scottish girl Margaret McDonald had a "vision" of the church being raptured. A preacher, Norton was so impressed by this that he started preaching her vision all across Scotland. Finally some real traction came. John Darby the founder of the Plymouth Brethren heard about the message and attended some of Irving's meetings. In his letters he states that he came to an understanding of some new truths. He was not satisfied with the simple Norton-Irving explanation but expanded the concept further to include all those things which I am sure are very familiar to you - for example, that a Jewish temple would be rebuilt and animal sacrifices reestablished, that Antichrist would appear and rule the world for seven years, that after 3½ years of good rule, this supposed Antichrist would turn against the Jews, stop the sacrifices, and start the battle of Armageddon etc. This Jesuit theory of Bible prophecy may have stopped there but unfortunately Darby visited America where he met Scofield of the famous Scofield Bible who was so taken with the idea that he included it in the annotated notes in his Bible as a study guide for everyone who read it. Eventually the theory became popularised by Lindsay, Jenkins and LeHaye in the best selling books the left behind series etc such that now about 80% of Christians hold to this futuristic interpretation of prophecy starting with a secret rapture. Because Lacunza, Irving and co where rightly believed to be tainted with the Jesuit brush this understanding of Bible prophecy has been attributed to Darby and Scofield, greatly respected theologians. In fact, if you discuss this with many pastors of different religious persuasions as to where this theory first arose, almost none will know anything about it before Darby and the Plymouth Brethren, certainly it was not taught in the early Christian church or even by any of the reformers. 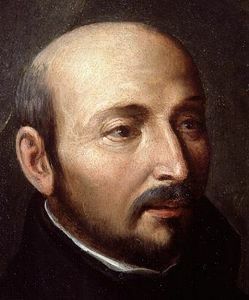 The Jesuits, and Roman Catholicism in general must find it unbelievable that instead of having to promote their own theory, concocted by Francis' at the direction of Loyola, that instead it is being openly preached by almost every Protestant without even being aware of where the information started. I will be honest, I didn't have time to extensively look at your blog and thus my brief overview of the rapture as promoted there may have been out of context and for that I humbly apologize. As I said I will look at it in more detail next week. Thanks again for your update on Pope Francis, I admire your work in spreading the gospel. Would love for you to have a look at the information that I have written here and see what you think. Happy to talk about prophecy any time if you are interested (dwane_jackson@hotmail.com). Otherwise thanks for your time in reading this small epistle. I know that the chances of you being interested in this are slim but I would love to have a conversation with you at some time in regards to the great controversy going on in the world today. A bit about me first. I am not a theologian but rather a doctor studying anaesthetics with my final exam in a few days so please excuse me if you reply and I don't send you a response for a few days. I found your blog as I was looking for the original source as to the quotes Re: Catholicism, jesuits and the new pope Francis name. So thank-you, it was exactly what I was looking for. But I was struck by the thought that there was something incongruous about the information on your blog which may have just been my misunderstanding. So here goes, I am not trying to be critical but hope that like the Berean's in Acts or the quote at the top of your blog from Jeremiah that we can work out whether this is correct or not. I note with interest and agreement that the new pope as a Jesuit probably has some throwback in heritage to Loyala and the great Francis's of that time - Francis Bergia, Francis Xavier etc but then I was perplexed as to why the other great Francis of the time - Francis Riberea (excuse my spelling below I scribbled this in a bit of a hurry whilst procrastinating from study) was being promoted as a correct interpretation of prophecy. I hope that you have heard all of this before but just in case you haven't I just wanted to spend a minute to share it with you. As the reformation got into full swing, Luther, Tyndale, Zwingle and almost all of the reformers used an historicist interpretation to correctly identify the Roman Catholic Papacy as the antichrist of 2 Thessalonians, the little horn power of Daniel 7, or the woman (church) decked out in scarlet and purple holding a golden cup (have a look at the cardinals and the mass from the recent election of the pope - I am sure that although John was primarily using the symbolism of colour that the irony of its literal fulfilment would not have escaped him) in Revelation 17 and/or the sea beast of Revelation 13 (if you want to discuss this further, starting at an early point it would be my pleasure). This Bible study was significantly fanning the reformation flames as the realized the complete reliability of God's word and the absence of the need for any tradition to help interpret it. As a result the Jesuits (set-up specifically, as you are well aware as the counter-reformation) thought that they had better find an alternate theory of prophecy because the Biblical evidence was incontrovertible (much like the general Roman Catholic approach to say the mass/transsubstantiation, pennance or the virgin Mary etc). As a result Francis Riberea compiled a 900+ page document (around 1500 A.D.) outlining a different theory where the antichrist could not possibly be the Roman Catholic Papacy because it was to occur at some future time associated with the last week of the 70 week prophecy of Daniel 9. This however did not gain much traction for a few hundred years as the reformers stuck to their sola scriptura mandate. However A\another Jesuit Lacunza in the early 1800's posing as a Jewish rabbi republished Ribera's initial ideas and again revived the theory and in particular the pre-tribulation or the mini-tribulation rapture. Edward Irving (who most of the protestant world viewed as a heretic) then translated Lacunza's work into English. But still it did not gain widespread acceptance.